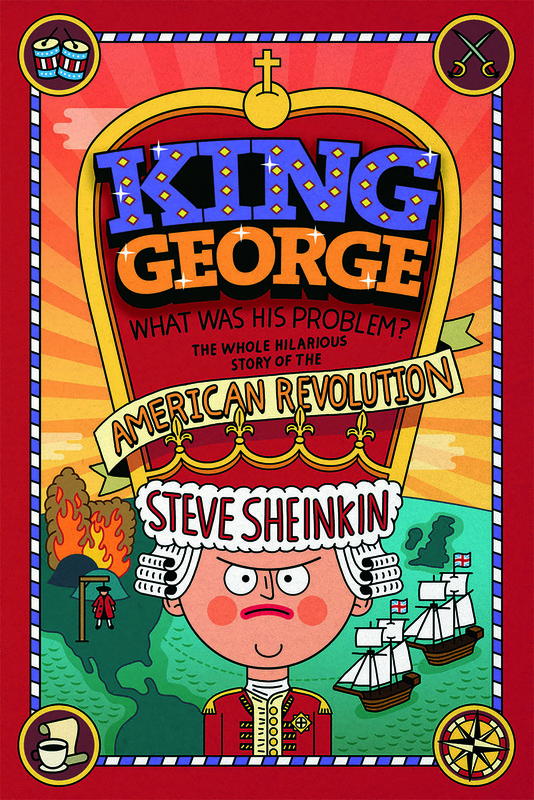 When Abraham Lincoln overhears a classroom of kids say “history is boring,” he decides to teach them a lesson. 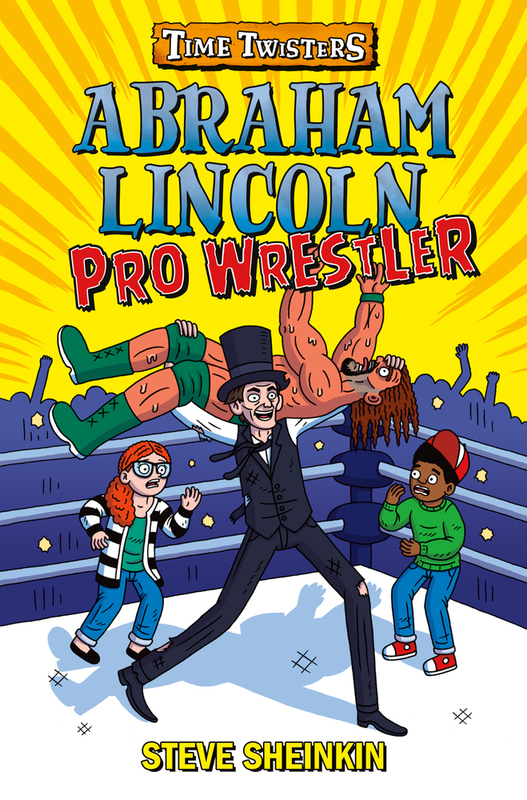 Lincoln escapes from 1860—to pursue his dream of becoming a professional wrestler! Now siblings Doc and Abby have to convince Lincoln to go back to Springfield, Illinois, and accept the presidency . . . before everything spins out of control! 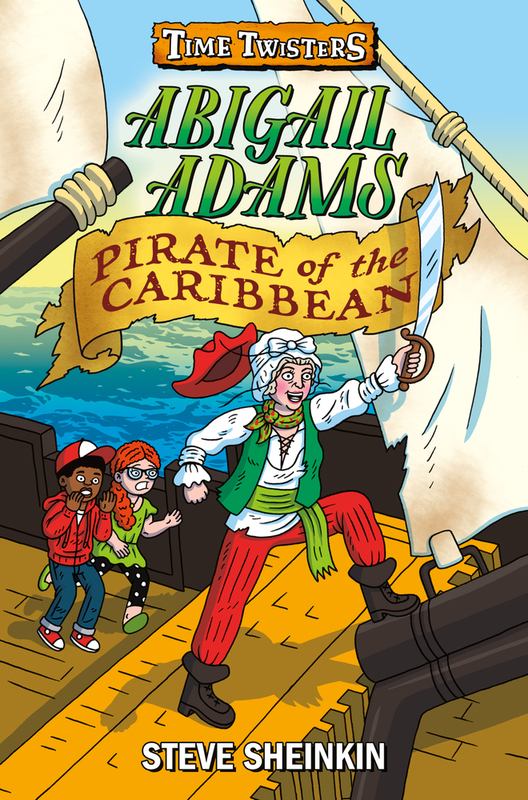 When Abigail Adams decides there’s more to life than doing chores in the White House, she joins a crew of Caribbean pirates! Can siblings Abby and Doc set history straight? Or will they be the ones who need to be rescued? In December of 1938, a chemist in a German laboratory made a shocking discovery: When placed next to radioactive material, a Uranium atom split in two. That simple discovery launched a scientific race that spanned three continents. 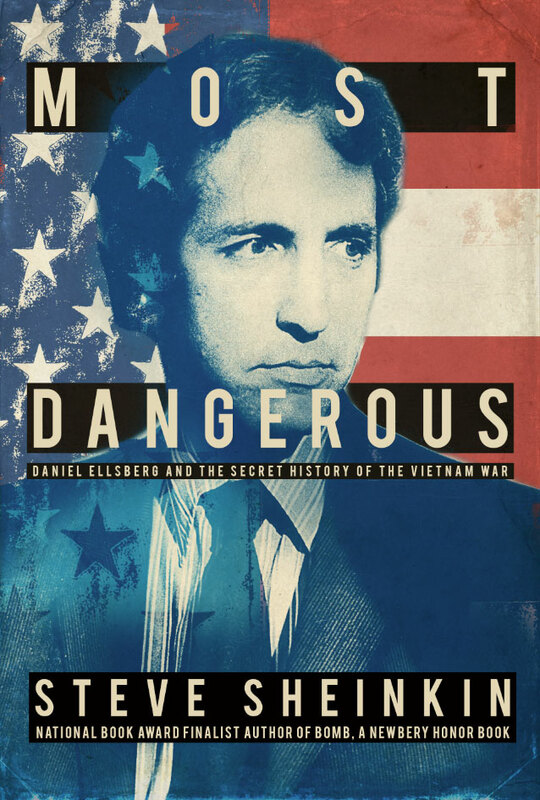 This is the story of the plotting, the risk-taking, the deceit, and genius that created the world’s most formidable weapon. This is the story of the atomic bomb. 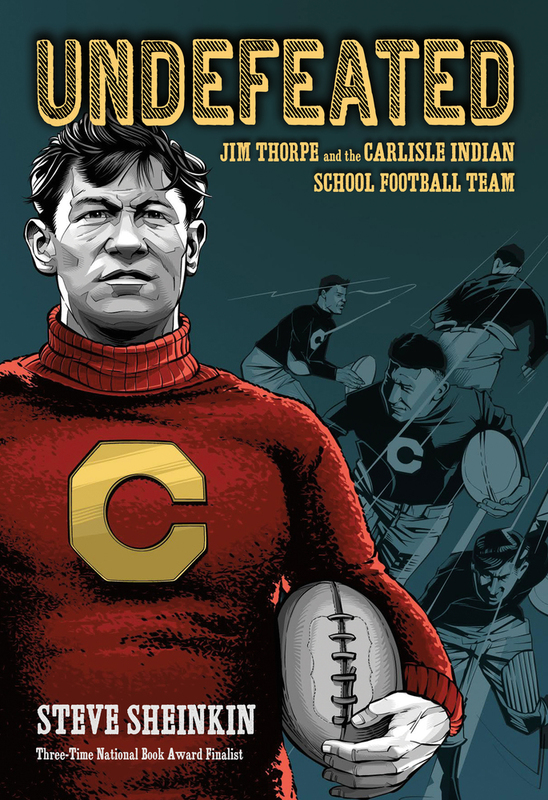 I’m really excited to share this little-known World War II civil rights drama. It follows a group of young African American sailors – many of them teenagers – who are assigned to load ammunition at Port Chicago, a segregated naval base in California. But they are never trained to handle ammunition safely, and are constantly being rushed by their officers. The action begins in October of 1875, as Secret Service agents raid the Fulton, Illinois, workshop of master counterfeiter Ben Boyd. Soon after Boyd is hauled off to prison, members of his counterfeiting ring gather in the back room of a smoky Chicago saloon to discuss how to spring their ringleader. Their plan: Grab Lincoln’s body from its Springfield tomb, stash it in the sand dunes near Lake Michigan, and demand, as a ransom, the release of Ben Boyd and $200,000 in cash. 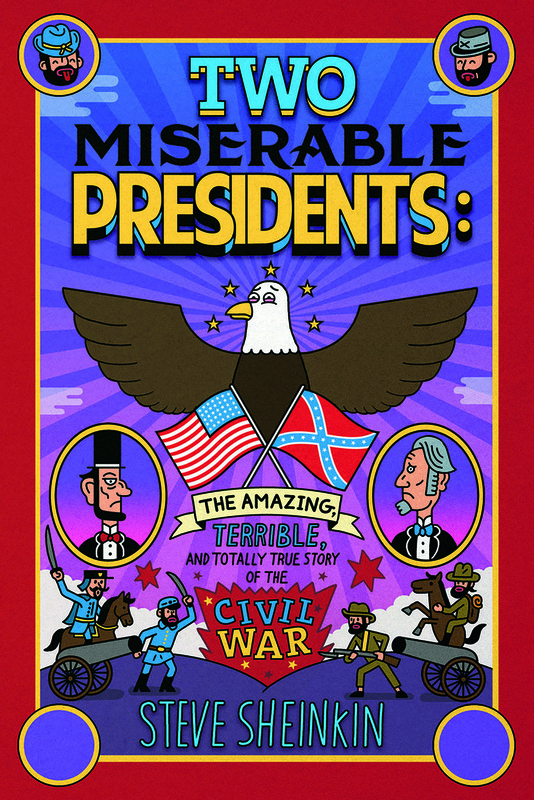 The terrible, disgusting, surprising and inspiring story of the Civil War… with special focus on just how miserable everyone really was. 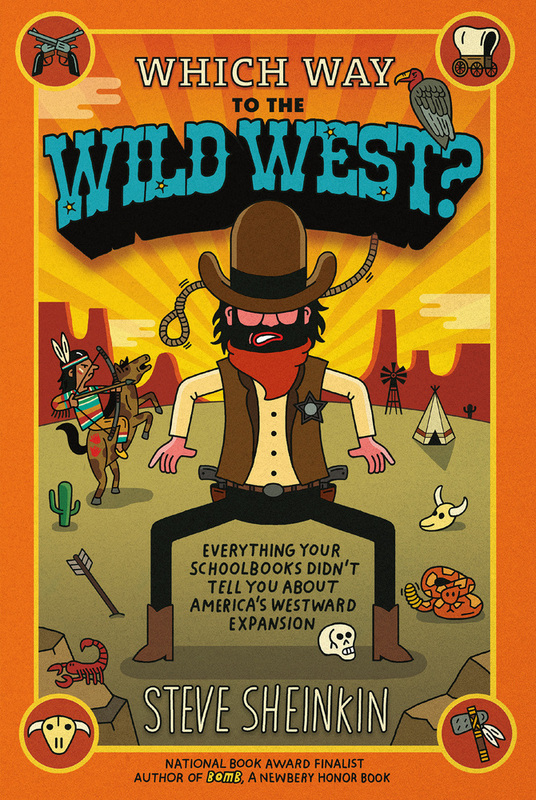 Just how wild was America’s Wild West? And how’d the United States get all that land, anyway? Here’s the real story, and it’s no feel-good fairy tale. 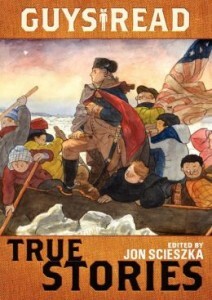 Jon Scieszka’s Guys Read anthology series for tweens turns to nonfiction in its fifth volume, True Stories. The fifth installment in the Guys Read Library of Great Reading features ten stories that are 100% amazing, 100% adventurous, 100% unbelievable—and 100% true.